You may be asking yourself': Is that really a thing?' I asked myself that very question a few years ago. Then I did some research, which turned up hundreds of different types of "ologists," ranging from the acarologist (who studies ticks and mites) to the zoologist. But searching among the Qs, I found no entry for "questionologist." And this led me to inquire, Why not? Isn't the study of questions as worthy of classification as the study of ticks and mites? My questioning then advanced from the "Why not?" to the "What if?" stage—as in, What if I just declared myself a questionologist? I did so in, among other places, the pages of the New York Times. And to my surprise, no one questioned it. I have been using the term ever since, as I visit companies (including many Fortune 500 businesses), government agencies, such as NASA, and schools from grade-school level through university. I have been invited to various gatherings of farmers, accountants, artists, scientists, soldiers, political operatives, Hollywood gents, Danish pharmaceutical executives, and Australian school teachers. The interest in questioning crosses all lines, it seems. And it should. When we are confronted with almost any demanding situation, in work or in life, simply taking the time and effort to ask questions can help guide us to better decisions and a more productive course of action. But the questions must be the right ones—the ones that cut to the heart of a complex challenge or that enable us to see an old problem in a new light. 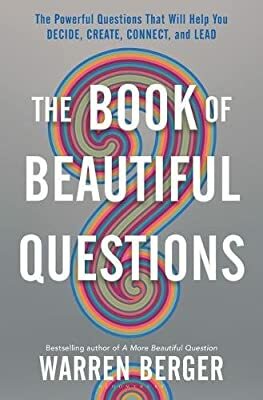 The Book of Beautiful Questions contains many such questions—more than two hundred of them, covering everyday situations that range from getting out of a career rut to strengthening personal relationships. This book is about asking thoughtful questions at the right time in order to make the best choices when it matters most. It is aimed at thinkers, creators, problem solvers, and decision makers. While there are many "answer" books available—the ones declaring, "Here is a four-step solution to your problem, and you can remember it via this four-letter acronym"—the philosophy behind this book is different. I am suggesting that we must figure out our own solutions and answers to the complex, individualized challenges we face, in work and in our personal lives. And that we have at our disposal a natural tool to help us think and "hack" our way to more successful outcomes. That tool is the humble question. I first began to appreciate the value of questions years ago, when I worked as a newspaper reporter. For me (and for journalists in general), a good, pointed question can serve as a spade for digging and unearthing bits of the truth of a story. Through the years, I tended to think of a question primarily as something you ask others in order to extract information from them. I'm sure that attorneys, pollsters, psychiatrists, and other "professional questioners" think of questioning the same way. But my work as a journalist also brought me into contact with inventors, entrepreneurs, business leaders, artists, and scientists, who often were the subjects of my writing. I found that many of these people tended to use the questioning tool in a different way—their questions were often directed inward. They might be trying to solve a problem or create something original, and in doing so, were likely to begin with questions that they asked themselves: Why does this problem or situation exist? What are the underlying forces, the larger issues at play? What might be an interesting new way to come at this challenge? This type of questioning helped lead these creative thinkers to original ideas and effective solutions. And this observation formed the basis of my previous book A More Beautiful Question, which made the case that questioning is a starting point of innovation. In that book, I showed that inventions from the instant camera to the cell phone, and startup businesses such as Netflix and Airbnb, could be traced to a "beautiful question"—one that shifted the current thinking, opened up a new possibility, and ultimately led to a breakthrough.